Almost 15.000 passengers travelled indirectly from Billund Airport’s core catchment to Aberdeen last year. 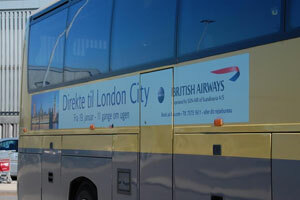 In addition, bmi regional carried circa 10.000 high yield passengers between Esbjerg and Aberdeen. According to VisitScotland circa 62.000 Danish tourists visited Scotland in 2015. It is quite safe to assume that 45-50% originates in WDK. Holiday makers was the dominating travel segment generating circa 56% of all visits to Scotland, followed by 17% coming to Scotland on business travels – The VFR segment accounted for 27% of Danish visitors. Almost 400.000 Danish charter passengers travelled to Antalya (AYT/GZP) in 2015 – this makes the Antalya area the largest destination for Danish charter passengers. Cirka 155.000 passengers travel to AYT/GZP on chartered aircraft from Billund annually. In the peak of the summer season Billund have up to 20 weekly flights to Antalya producing up to 6.000 weekly return passengers! A direct scheduled service to Antalya is in high demand, as Danes own 5.000 properties in the Antalya area. These “second homes” generate an estimated 200.000 passengers between Denmark and Antalya annually – 50% of these passengers originates in Billund Airport’s 1½ hour catchment. Cimber Sterling operated BLL-AYT on a scheduled basis in 2010 and 2011. The route generated 14.000 passengers and an average load factor of 70%. The overall average fare on the route was €182 one-way. Athens shows significant potential from Billund if operated by the right airline, appropriate equipment and frequency as well as accompanied by proper marketing support. This destination shows significant potential from Billund if operated by the right airline, appropriate equipment and frequency as well as accompanied by proper marketing support. British Airways operated by Sun-Air serves BLL-BGO on a twice-weekly basis, however, the market requests more frequency and capacity. Indirect traffic flows from West Denmark to Bergen is significant. West Denmark generates circa 15.000 passengers travelling to Birmingham annually. 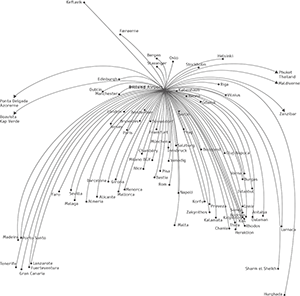 The vast majority of these passengers originates from Billund Airport’s core catchment. The indirect traffic flows between West Denmark (BLL) and Birmingham seems to be dominated by business related passengers. Bosnians are one of the largest ethnic groups in West Denmark. 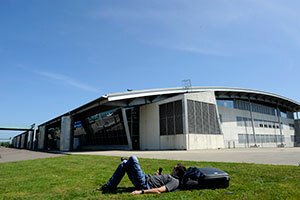 More than 15.000 Bosnians live in Billund Airport’s core catchment (1½ hours drive). The majority of Bosnians in Denmark live close to Billund Airport and 67% of the Bosnians living in Denmark live in West Denmark. The journey today is very long as the shortest travelling time from Billund to Sarajevo is roughly 6½ hours and includes two stops – only one-stop connecting is via IST (BLL-IST-SJJ) however, this journey takes 20 hours. 22.600 Romanians live or work in West Denmark. More than 14.500 Romanians live in Billund Airport’s core catchment (1½ hours drive) and an additional 8.100 work temporarily in West Denmark. The majority of Romanians in Denmark live close to Billund Airport 66% of the Romanians living in Denmark live in West Denmark. 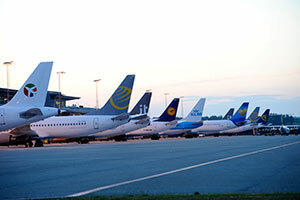 More than 22.000 passengers travelled indirectly from West Denmark to Bucharest – and traffic volume is growing rapidly. Circa 80% of these passengers originates from Billund Airport’s core catchment. Historically, the West Danish market has been generating a significant amount of traffic to Dublin and Ireland. Maersk Air started the route BLL-DUB in 2000, generating 23.000 passengers annually on 4 weekly Boeing 737-500/CRJ-200 flights. Ryanair has been operating BLL-DUB from 2007-2009 on a 3-4 times weekly basis generating more than 50.000 passengers annually, and in 2010 Cimber Sterling took over the operation using CRJ-200s 4 times per week. Today more than 15.000 passengers travel indirectly between West Denmark and Dublin – however, we are in contact with a great number of tour operators who want to include Dublin and Ireland as part of their product range from Billund Airport. 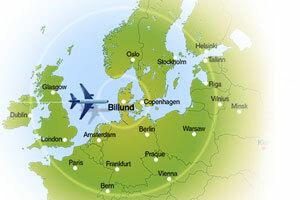 Almost 13.000 passengers annually travel indirectly between Billund Airport’s immediate catchment area and Edinburgh. In the past Ryanair has operated the route, generating 25.000 passengers on a seasonal basis. The route was one of the Ryanair’s most yielding route from Edinburgh at the time. Traffic flows between West Denmark and Poland are growing rapidly as a result of increasing business activities between the two regions. - There is an existing, unstimulated O&D demand from West Denmark to Lisbon of circa 15,000 passengers. - Various guided tours and golf tour operators will heavily support a direct service from Billund to Lisbon if it is introduced, as they currently charter ad-hoc flights in order to fly their guests to Portugal. The West Danish catchment generates 23.500 indirect point-to-point passengers for the Madrid market annually – the vast majority from Billund Airport’s core catchment. A large number of tour operators request a direct service from Billund to Madrid. 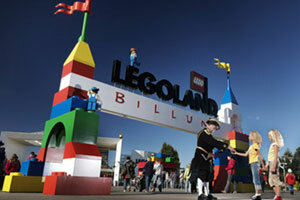 10.000 Spanish people visited West Denmark last year – most of them visited LEGOLAND as part of their stay. Served by Ryanair 3 times per week (Bergamo) in the summer only. Indirect traffic flows from West Denmark to Milano is significant in year around. British Airways operated by Sun-Air serves BLL-MUC on a daily basis, however, the market requests more frequency. Indirect traffic flows from West Denmark to Munich is significant. Served by Ryanair 3 times per week in the summer only. Indirect traffic flows from West Denmark to Rome is significant in the winter. - The passenger flows are dominated by business and VFR passengers, meaning that leisure is yet to be stimulated. - West Danish tour operators will support a direct service heavily, as their guests will save 1-1.5 days of driving to reach Nordkapp in the Northern part of Norway. Almost 24.000 passengers travel from West Denmark to Vienna annually by air. This destination shows significant potential from Billund if operated by the right airline, appropriate equipment and frequency as well as accompanied by proper marketing support. 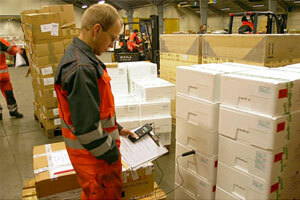 - 180 West Danish companies have subsidiaries in Poland and a large number of these are in Warsaw. West Denmark generates circa 25.000 passengers travelled travelling to Zurich annually. It is conservatively estimated that Billund Airport’s core catchment (1½ hours drive) generates circa 18.000 of these passengers. The indirect traffic flows between West Denmark (BLL) and Zürich seems to be dominated by business related passengers and the majority of the demand is generated in West Denmark. The West Danish catchment produces more than 740.000 potential connecting passengers to destinations served via the ZRH network - 83% of these passengers originated within 1½ hours drive of Billund Airport. Billund Airport is well positioned to take advantage of the second largest catchment in Denmark – more than 3 million people live in West Denmark. 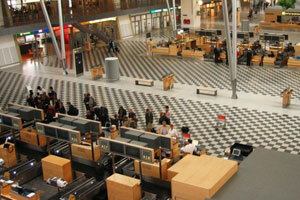 Billund Airport – the second largest airport in Denmark – handles just short of 3 million passengers annually. 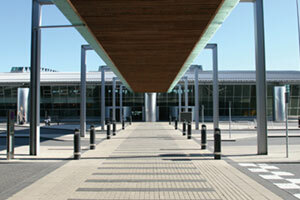 West Denmark – Billund Airport’s core catchment area – generated more than 7.3 million international passengers last year. 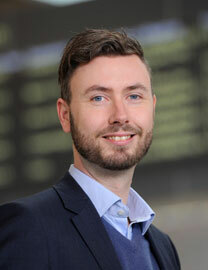 However, analysis shows that West Denmark is heavily underserved in terms of airline capacity, and benchmarked against peer regions like Gothenburg and Bergen, it appears that average fares from Billund Airport were more than €40 higher in 2015.
Business travel from Billund: 20 travel-intensive companies in West Denmark have travel budgets amounting up to €130 million. Therefore, besides broad marketing promotions, airlines starting new routes can also expect to engage in close dialogue with these travel-intensive companies. Billund Airport has a fully developed marketing toolbox, which will heavily support new potential routes to Billund. New direct services meeting the requirements of the airport’s new route discount scheme will get reduced passenger fee in year 1 and 2 of operation. 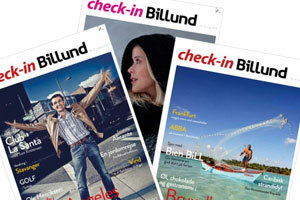 Billund Airport hosts the largest travel magazine in Denmark: ‘check-in Billund’. The magazine has a circulation of 45,000 copies, and promotes new as well as existing routes and tour operators at Billund Airport. 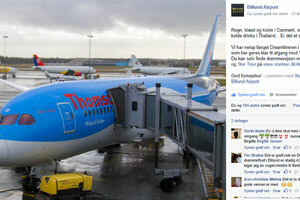 More than 27,000 people in West Denmark subscribe to ‘check-in Billund’. The airport’s Community Manager focus all his time on Social Media activities and is very active on the most popular Social Media platforms. New activities from Billund Airport will be heavily promoted through our Social Media platforms as well as the airport’s newsletter. The airport marketing team have a great network within the West Danish travel trade and we will be able to establish contact between new airlines and potential tour operators. 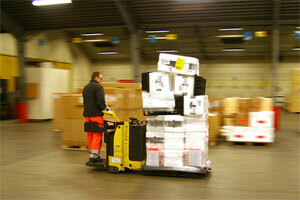 Furthermore, we will assist your sales and marketing team when working in the West Danish market. Airlines can expect a lot of structured, strategic assistance from Billund’s business development professionals in connecting with West Denmark’s travel trade and potential tour operators. New routes also get significant exposure from a fully developed marketing toolbox. With focus on route development from West Denmark a forum of travel managers from 20 travel intensive companies has been formed. The total travel budget for these companies is in the range of €100-130 million annually. Airlines starting new routes to Billund will be able to get in close dialogue with the local travel managers from these travel intensive companies. The airport marketing team will arrange and co-host events for the local travel industry as well as local and international media. The marketing team in cooperation with VisitDenmark and local tourism organizations has extensive experience in entertaining international media when visiting the West Danish region. The airport has a range of out-door billboard positions to your disposal where potential new routes will be able to get a significant level of exposure. Various members of the Billund Airport team are elected Board Members of the Boards of VisitDenmark, PATA Chapter Denmark, Discover America Denmark and the Advisory Board of VisitAarhus. The local catchment is 3 million – a further 2.4 million international tourists visited Billund in 2015, including 1.8 million who went to LEGOLAND®. This important visitor attraction works hard on re-invention and continuous improvement and has developed into a coast-to-coast destination ‘LEGOLAND Billund Resort’, including the largest leisure center in Northern Europe - Lalandia. 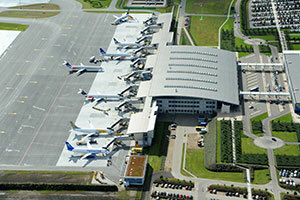 Billund Airport is ideally located to take advantage of a catchment of 3 million people, living in West Denmark. 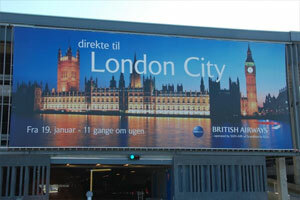 The entire population in West Denmark are able to reach Billund Airport within two hours’ drive. The airport’s core catchment is almost twice the size of any other competing West Danish airports’. Aarhus, the second largest city in Denmark, can be reached within one hour by car or passengers can take one of the 17 daily airport shuttles going directly from Billund Airport to Aarhus city centre. Odense and Aalborg, the third and fourth largest cities in Denmark, is only 1hour 15 minutes and 2 hours away by car, respectively. Furthermore, the fifth largest city and Danmark’s off-shore capitol Esbjerg is situated only 45 minutes away. The Tri-City Area (Vejle-Kolding–Frederica) situated only 30-40 km from Billund Airport forms a major population cluster with more than 210.000 inhibitors. Combined the population of these three cities out number of population of the third largest city in Denmark, Odense. The companies based within 1 hour 30 minute drive time of Billund Airport generate more than 42% of the overall national revenue. This proves how important Billund Airport’s core catchment area is to the Danish economy Furthermore, companies in West Denmark generate 34% of the total Danish exports. 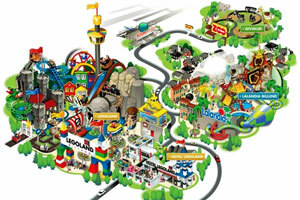 On the doorstep of Billund Airport is LEGOLAND Billund Resort. Here children and their parents can experience the best from LEGOLAND, including more than 55 rides and attractions, greeting of roaring lions in Givskud Zoo or some serious water fun at Lalandia Aquadome – A tropical El Dorado for the whole family! LEGOLAND Billund Resort is the largest leisure centre in Northern Europe, with a wide range of accommodation opportunities such as the 825 holiday houses at Lalandia, Hotel LEGOLAND or LEGOLAND Village Family Hostel and Camping. If it’s Danish it’s very likely to be made around Billund where 30% of all GDP is produced. Companies based in West Denmark generate circa 35% of the overall Danish GDP. 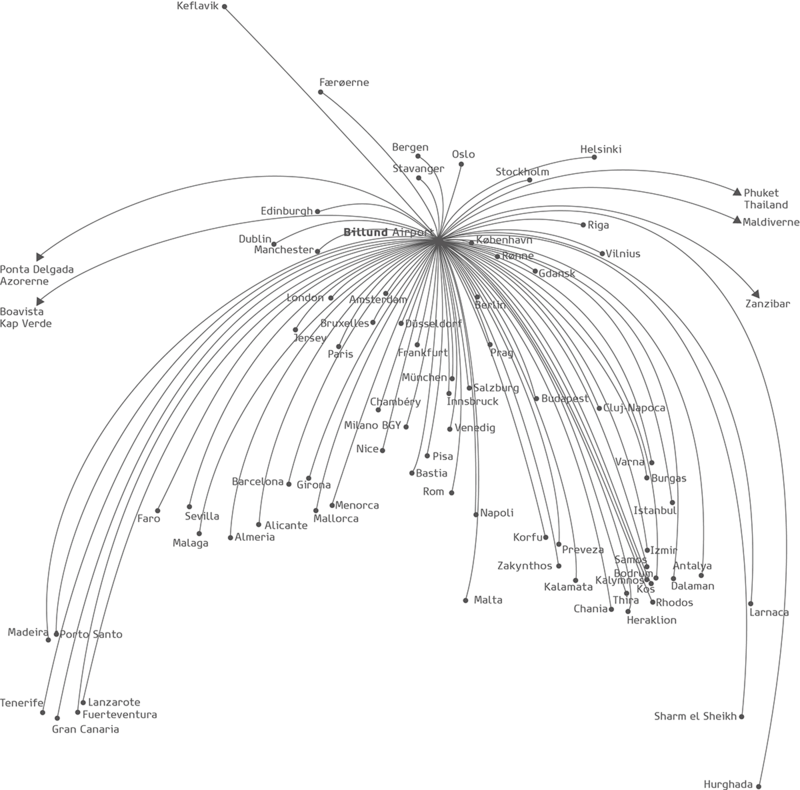 The companies based within 1 hour 30 minutes drive time of Billund Airport generated circa 30% of the overall GDP. This illustrates the importance of Billund Airport’s core catchment area for the overall Danish economy. Cargo Center Billund offers a short cut to a catchment of dynamic business regions in Northern Germany, Denmark as well as the rest of Scandinavia. Connected by a growing offering of air services and a wide network of scheduled road feeder services to airports in all major European markets, Cargo Center Billund will serve you as a prime interface to air cargo import, export and transfer services. In 2015, Cargo Center Billund handled more than 63,000 tonnes of air cargo – split quite evenly between imports and exports. The cargo terminals of Cargo Center Billund are situated directly adjoining the airside tarmac with abundant cargo aircraft parking stands within immediate reach. 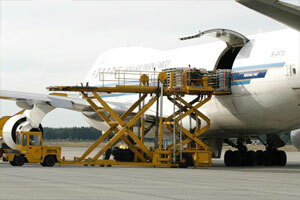 Cargo Center Billund offers you aircraft and cargo handling charges that compare most favourably with other airports to provide customers ‘value for money’. Cargo Center Billund is dedicated to serve customers with tailor-made solutions based on many years of solid experience and passionate air cargo professionals. All employees at Cargo Center Billund are constantly trained in accordance to relevant training programs and are certified in concordance with Lufthansa Cargo Standards. Cargo Center Billund is open for handling services and custom clearance 24/7 and is equipped with state-of-the-art IT systems and tools, such as Lufthansa Systems Elwis. Cargo Center Billund works as a veterinary boarder inspection and is specialised in handling of live animals meaning that our facilities are equipped with safekeeping areas geared for small as well as large animals. Most Danish airfreight forwarders, GSAs and a variety of airlines are localised around Cargo Center Billund, constituting an efficient and professional cargo community. Facilities as you would expect as Denmark’s #2 airport. Prudent investment means fees and charges have been frozen for more than 15 years. Billund Airport is West Denmark’s international airport – and the second largest airport in Denmark. The airport is the primary gateway to and from the West Danish region. For the summer season 2016, more than 45 direct international routes will be served from Billund as well as charter services to more than 50 European and intercontinental destinations. The airport handled 2.9 million passengers in 2015, experiencing stable growth during the previous years. In 2015, 99% of passengers at Billund Airport were travelling internationally, and out of the airport’s 1.9 million scheduled passengers, more than 50% travelled for business. The gaps are easy to see – Switzerland, UK, Poland and Romania are the most obvious – West Danish companies operate many subsidiaries in Central Europe. Benchmarked against competing airports, Billund Airport offers the lowest per passenger related cost to the airlines in terms of fees and charges. Airline related fees and charges have been frozen for more than 15 years!! The possibility of quick turnaround and capacity to air bridge board is also available at Billund Airport. Runway: 3,100 metres. Cat III. 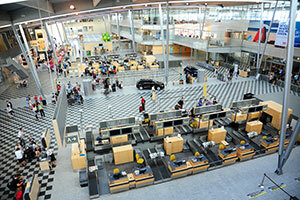 Opening hours: Billund Airport is open on a 24 hour basis.